Nowadays 75% of Strava users are international, a purely organic growth that developed from their committed fanbase. When Strava realized how quickly they were catching on overseas, they scrambled to adapt the platform, but it didn’t happen overnight. It took them almost six months to recode the app so that it could easily accommodate language changes in the future. Strava is dedicated to providing performance analytics and community building for cycling and running enthusiasts, so don’t expect them to shift priorities by expanding to other fitness verticals. Their next goal is to increase penetration in twelve target international cities by igniting the local community (“similar to how TEDx Talks have grown through local communities”, said CMO Erik Joule). 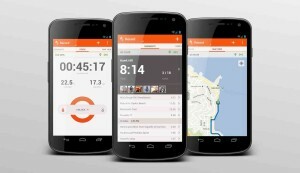 So even if you aren’t a runner or cyclist yourself, expect to hear more about Strava in the future. The fitness industry has recently seen an explosion of specialized boutique studios: Pure Barre, Flywheel, Crossfit, and Core Power Yoga are just a few examples of the companies cashing in on committed followers. But many of us have short attention spans and want to dabble across these niche verticals without having to pay top dollar for drop-ins or monthly passes. So how do you get your fix without breaking the bank? This is where fitmob comes in. Originally launched in January 2014 as a community of fitness-minded individuals leading outdoor classes around San Francisco, fitmob has since expanded geographically (Portland, Philadelphia, Austin, Dallas, Seattle) and functionally. They’re now partnered with existing gyms and studios to provide access across locations at a fixed monthly subscription, while still promoting alternative classes led by vetted instructors. Given their 5x revenue growth at the end of 2014, it seems users like the idea – and so do investors. In our meeting CEO Raj Kapoor assured us this isn’t the end of new innovations coming out of fitmob. Their mission is to create a fitness-focused community with enough options to suit our complicated preferences and schedules – and they’ll continue partnering with (or buying) other players in the industry to make that happen. MFP is another example, like Strava, of a company that grew out of a very simple need. In 2005 Mike Lee found that he needed a way to track his food consumption to get in shape before his wedding, but didn’t want to use traditional pen and paper. He built a website to document his eating habits and now ten years later, MFP is the leading nutrition-tracking mobile app. 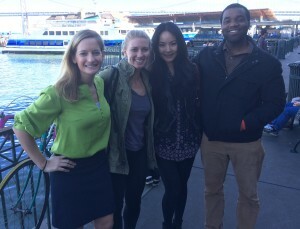 We met with co-founder Albert Lee (yes, they’re brothers!) 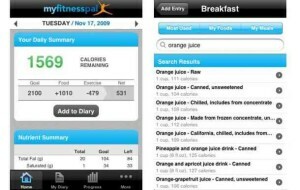 who told us about the features that have made MFP so successful. By keeping it simple and remaining focused on solving one painpoint, MFP has grown to help tens of millions of people lose weight and lead healthier lives. Albert stressed the fact that complexity kills, and that trusting one’s intuition is what helps to refine a user experience. It’s great to listen to customers (“a focus on customer service is critical to driving engagement”) but sometimes their feedback can be misleading: a frequently requested “food rating” feature ended up being poorly received in actuality. So sometimes the customer doesn’t always know best! Product manager Warren Wan also emphasized the need for simplicity, and admitted that it’s never completely clear-cut which features to improve. Product managers have to strike a balance between speed and quality in feature updates to keep customers engaged, but sometimes the best features can happen by accident – just look at how Flickr and Slack came to life! Both Warren and Albert separately commented on the need to feel passionate about building a great product for your target customer in order to succeed. 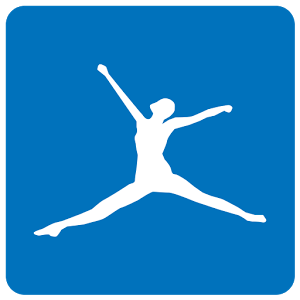 Obviously these guys know what they’re talking about – MyFitnessPal was acquired by UnderArmour for $475 million just two weeks ago. 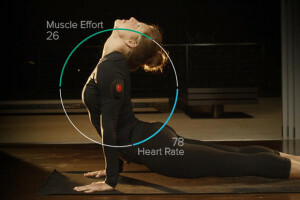 The innovator of connected workout clothing that tracks your muscle output, Athos is changing the way you think about exercise by taking the concept of a fitness wearable to a whole new level. 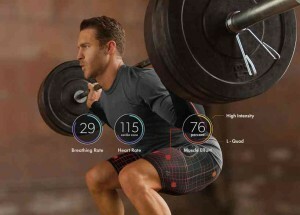 Their sensor-lined shorts and sleeved shirts use EMG technology to send feedback to your phone with metrics like muscle group use, balance, and posture. With a Hunger-Games-meets-Terminator design, Athos’ apparel will shift your workout goals from quantity to quality. We met with Jake Waxenberg, Director of Brand Strategy, who described their formulaic approach to ensuring that their technology comes from a place of scientific precision and integrity. By partnering with elite sports teams and athletes, Athos is revolutionizing athletic performance through the study of alignment and execution to ensure the perfect touchdown, hole-in-one, or free throw. But these insights won’t only be useful for professionals; pretty soon you’ll be using them to perfect your running form, gym workouts, and yoga routines. Jake compared the Athos revolution to GPS mapping. Remember back in the day when we would print out MapQuest to get anywhere or plan a roadtrip? Nowadays we don’t think twice about whipping out our phones to use Google Maps to guide us every step of the way. In the near future we’ll be reminiscing in a similar way about how our workouts used to lack the detailed analytics and monitoring provided by Athos apparel. It may sound futuristic, but thanks to Athos it won’t be far off! A seasoned health and wellness entrepreneur, Leslie Silverglide founded Wello in her second year of Stanford business school out of frustration over the lack of workout options for people with busy schedules. Over the past four years Wello has grown into a robust platform enabling individuals to work out with a live trainer over two-way video from anywhere in the world. Leslie described some of her most interesting customer insights gleaned by Wello over the years. After launching the platform, Wello quickly realized that people didn’t want to work out with just a trainer, they wanted to work out in groups, regardless of whether they were friends or strangers. 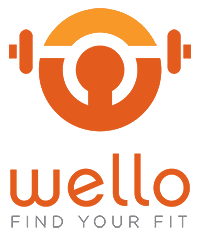 By adding group workout functionality, Wello increased user engagement and added a layer of peer accountability. Second, users asked for the ability to interact with their trainers and receive customized feedback. The student-trainer messaging platform soon became one of their best-received features. In April 2014 Wello was acquired by Weight Watchers – their sole acquisition over fifty years of existence. It will be interesting to witness the evolution of the Wello platform through this partnership and access to a new demographic of users – stay tuned to see how they innovate the Weight Watchers brand. At sixteen years old Jawbone may not be new to the scene, but their constant innovation of the Jawbone UP wearable fitness tracker makes them a heavy hitter in fitness technology. Their user experience begins with the hardware of the actual tracker itself, but the software/mobile app component is what completes the product. We met with several of Jawbone’s product managers and data scientists who explained that by not only gathering data but also providing recommendations, Jawbone aspires to influence behavior and encourage healthier lifestyles. But this is not always an easy task; many people are reluctant to actively engage with their health and face the consequences of a lazy weekend or indulgent meal. By converting data into actionable recommendations and encouraging adherence through social accountability, Jawbone makes choices like taking the stairs instead of the elevator or going to bed early slightly more feasible. 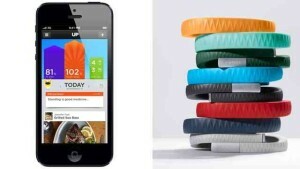 With the imminent launch of their newest product, the UP3, Jawbone has interesting innovations in store. And their loftier goal? With the “Internet of Things” revolution on the horizon, Jawbone aspires to be the go-to platform for all your smart appliances. We might just see Jawbone’s UP wristband branch out of the health-and-wellness category soon enough. These companies aren’t alone in harnessing the fitness movement in America – behemoths like Under Armour and Nike have profited off this industry for decades, and they’re taking notice of technology’s role in taking it to the next level. But there’s plenty of room for innovation and disruption along the way, and this wave of fitness technology companies is proving it’s not only effective, but profitable as well.